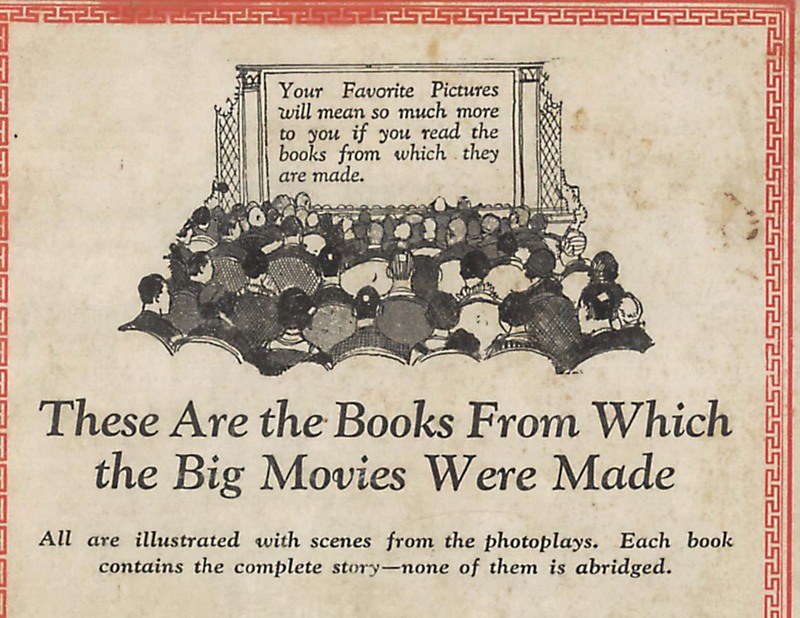 Among book/movie tie-in collectibles, the Photoplay editions are sought after primarily for their attractive dust jackets, and the photo plates generally featured with the text. They began to appear in 1913, and were at first designed to promote and accompany the ongoing serial adventures of stars such as Pearl White and Ruth Roland. 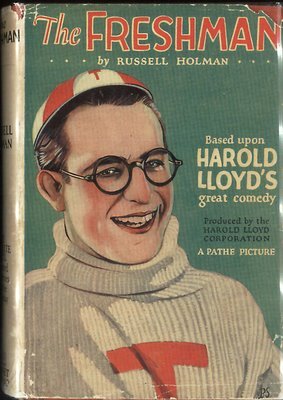 They later became novelizations of feature stories and screenplays. I found one for Beyond The Rocks at a local sale for the public library, and it had a neat image of Gloria Swanson on the still-intact dust cover. The rarest ones are for things like Dracula and King Kong --- no surprise there. 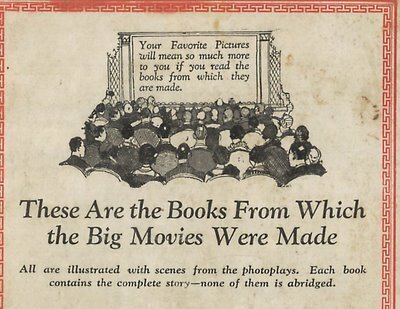 Photoplay editions died out by the mid-thirties, but books based on movies continued right along until paperbacks became dominant after the war. 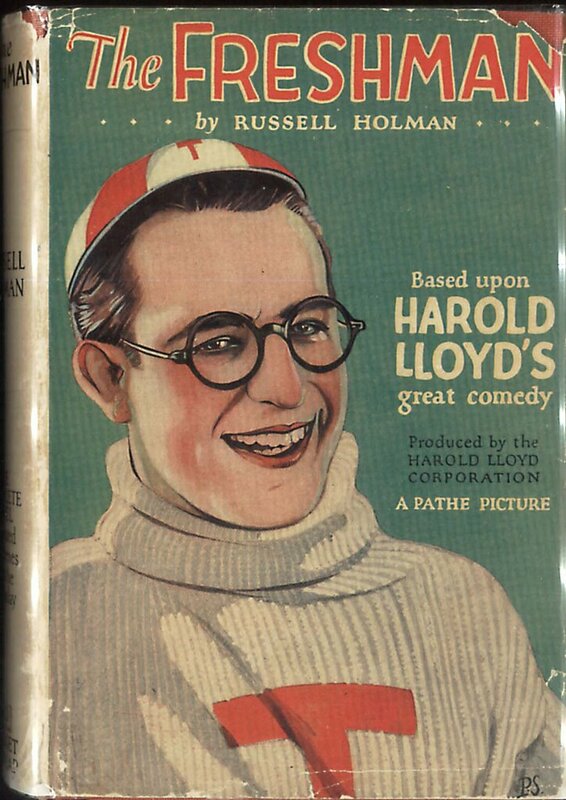 The ones shown here were issued in tandem with the release of The Freshman and Speedy, and these colorful editions must have been quite a lure for Harold Lloyd fans in the book stalls. 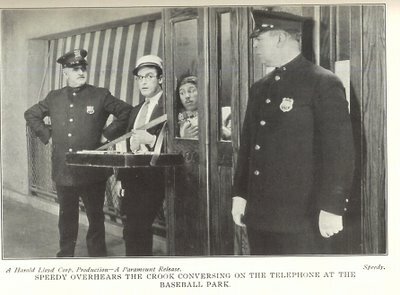 The photo from Speedy was included as an illustration plate in the novel --- note the caption and credit. 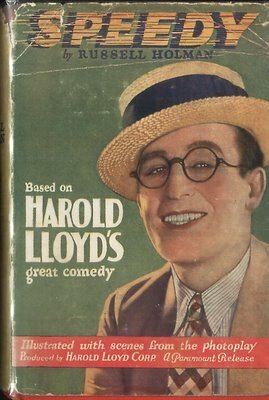 Though Lloyd was high on Photoplay editions, Charlie Chaplin apparently was not, as there are no Photoplays extant on Chaplin’s features. These little books can still be had at a right price, but beware those without dust-jackets. Condition’s a factor too. If you’re going to bid on one, make sure all the illustrations are intact. Otherwise, these are fun books, and nice souvenirs of a tie-in device that has largely disappeared. Wait. 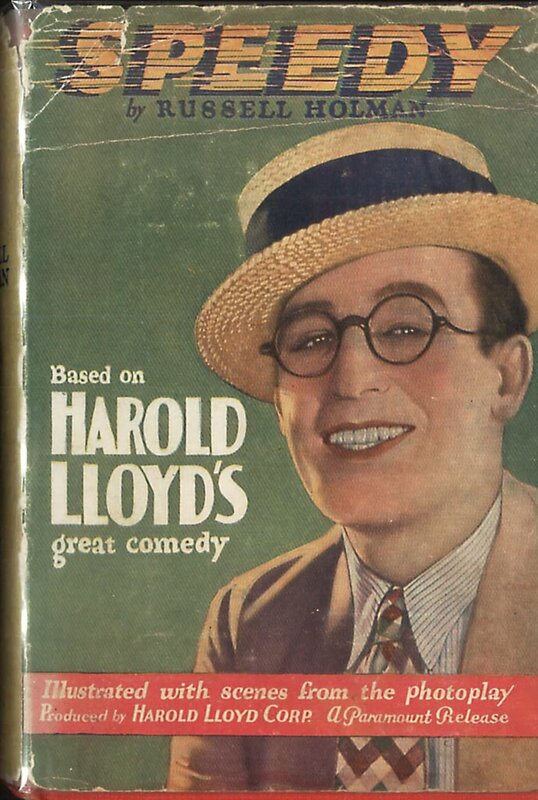 The covers say "Based upon Harold Lloyd's great comedy," but the ad says, "These are the books from which the big movies were made." What gives?